The cemetery consists of two properties. "Old" Sterling Cemetery covers 2.2 acres and dates from October 1870. The "New" Cemetery consists of 4.8 acres and dates back to 1914. 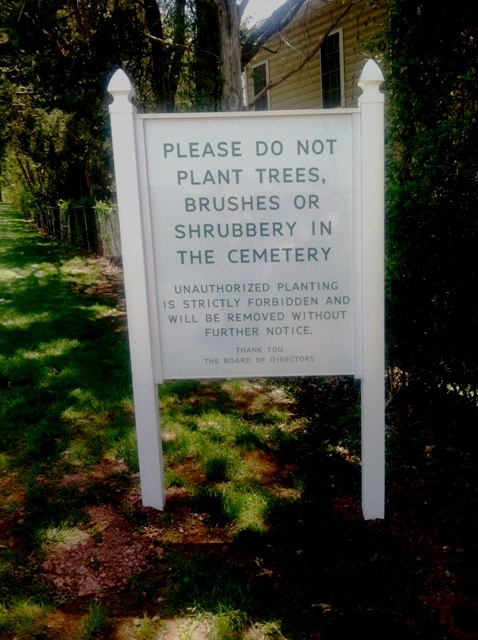 The Sterling Cemetery Company, a non-profit corporation, owns and manages the property. The Sterling Cemetery is a traditional "country" cemetery. A “traditional” arrangement refers to a full-body burial in a casket or a cremation placed in an urn. There are several options available. In a single burial site you may inter a single casket, a casket and one urn or two urns. A Columbarium is available, with space in each niche for up to two urns of appropriate size. To learn more about options, please call your local funeral director or monument provider. EFFECTIVE IMMEDIATELY, A LINER OR VAULT IS REQUIRED FOR ALL BURIALS. Business Office closed weekends and Federal Holidays. Sterling Cemetery Company, Inc., hereafter SCC, is not responsible for the contents of any off-site pages referenced and does not constitute an endorsement. These links are provided as an information service only. It is the responsibility of the user to evaluate the content and usefulness of information from other sites. Since the SCC is not responsible for the availability of any outside resource or link, or their contents, you should direct any concerns regarding any external link to its administrator or webmaster.